The Democratic Party put out a number of tweets during CNN’s Republican primary debate last night. All of them were insulting and many of them were outright lies. 5. Democrats claim vaccination is a GOP issue. Wrong. Vaccination is a liberal issue from Hollywood which overwhelmingly supports Democrats. 4. Democrats claim Obamacare provided health insurance to millions of Americans while ignoring the millions of people who lost their health plans because of Obamacare. 3. 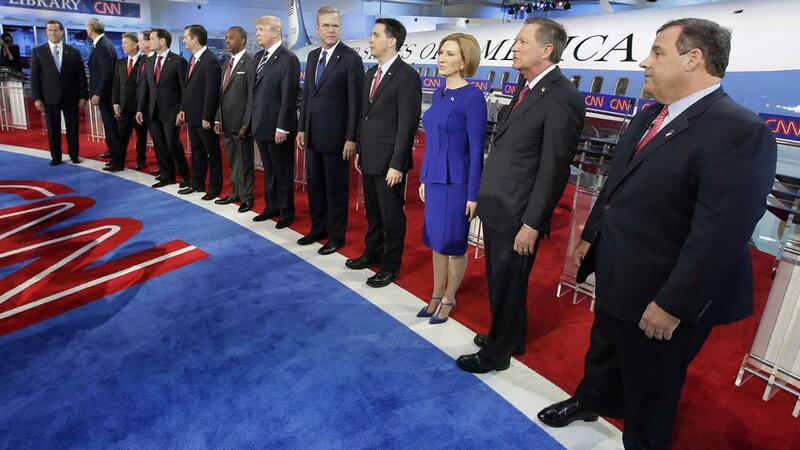 There were absolutely no “high-fives” for millionaires during the debate. This is an outright lie. 2. CNN Didn’t ask any of the candidates about “climate change” until the very end and even then, framed it as a gotcha issue. Democrats blamed Republicans as if they had control over the questions. 1. Democrats portrayed everyone on stage as white, despite the fact that the Republicans running in 2016 are far more diverse than they are. The Democratic Party is roping off protesters on their own side for the lack of Democratic primary debates.